Note: I am a proud Amazon affiliate and am happy to recommend their service and products to you in this post. Please know that as an affiliate, I may receive a small commission on the products you purchase after clicking through my links. For more info, please see my disclosure policy here. When it comes to eating breakfast on a gluten-free dairy-free diet, things can be a little tricky. Especially since most breakfast foods that we all normally think of revolve around flour, bread, butter, and milk. But even though it may seem a little daunting to find choices that suit your gluten and dairy-free diet, I promise you there are loads of options you just need to know what to look for! And definitely get in the habit of keeping those options on hand in your kitchen. One of the questions I’ve received the most emails about in the time since I started this blog is “what can I eat for breakfast?” Of course, being that I’ve been on this diet for 6 years – and egg-free for nearly as long – I have a lot of different ideas that I’d love to share with you today. When I first started my health coach training program years ago, one of the very first exercises they encourage you to do is “the breakfast challenge.” It sounds so fancy, but really the entire concept is for 7 days, you try something new to eat for breakfast. You write down how that breakfast made you feel right away, an hour later, and a few hours later. The idea is that we all get into such a routine with how we eat, that we don’t often realize that there are other foods that we could be eating that would make us feel even better and satiated throughout the day. I learned through my breakfast challenge that I almost always relied on cereal or oatmeal, but that they didn’t really fill me up. I learned to expand my horizons and started eating more protein – both animal and plant-based proteins – and fats to keep me full until lunch. This challenge also taught me to learn to be creative with my breakfast options that nothing is off the table if it feels right for your body that day and it is nourishing to your body’s needs (like being on a GFDF diet). I encourage you as you’re making your way through this list to not only find ideas, but to keep an open mind to foods that you may have deemed “not for you” in the past. With your gluten and dairy-free diet, it might just be a great option you hadn’t thought of before! Check out this list and get inspired to fill your kitchen up with ingredients that allow you to follow your gluten and dairy-free diet every single morning. Oats and oatmeal are naturally gluten-free. However, many brands of oatmeal share equipment that processes wheat and other gluten-containing grains. If your intolerance means you’re extremely sensitive (or if you’re allergic), be sure to pick up certified gluten-free oats or oatmeal. Some gluten-free dairy-free oatmeal breakfast ideas are simple bowls of oatmeal with fresh or dried fruit mixed in. You can add nuts, chia, hemp, or flax seeds, and really anything else that you love. Coconut milk, coconut flakes, and nut butters like peanut or almond butter are great additions too. You can even make your oatmeal bowl take a savory flavor by adding eggs, cooked bacon, sausage, or even steamed greens. 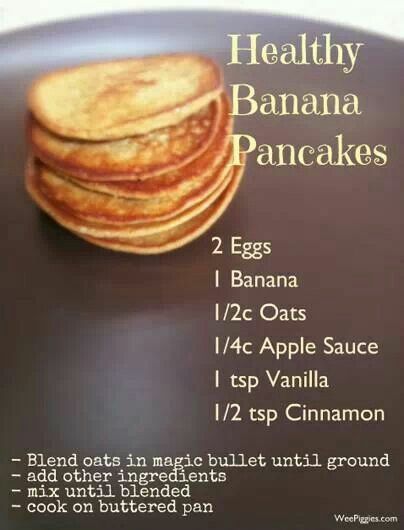 This is a great way to mix up the old standby and enjoy your bowl of oatmeal in a different way. Just be sure your bacon or sausage is gluten-free! A great way to save time with making up a bowl of oatmeal is by making overnight oats. With overnight oats, you simply add oats to a jar along with some dairy-free milk (I like almond milk or coconut milk, but any dairy-free milk will do). You can get creative by adding in mashed bananas, fresh berries, jam, pumpkin puree, nuts and seeds (especially chia seeds), and flavor it to your liking. I love making peanut butter chocolate overnight oats with peanut butter and cacao powder mixed in. You can add any type of extracts like vanilla, lemon, or peppermint to flavor it too. I’ve even seen people add protein powder to their overnight oats to get an even bigger boost in protein in the morning. Another great idea with a gluten-free dairy-free oatmeal breakfast is to make baked oatmeal. 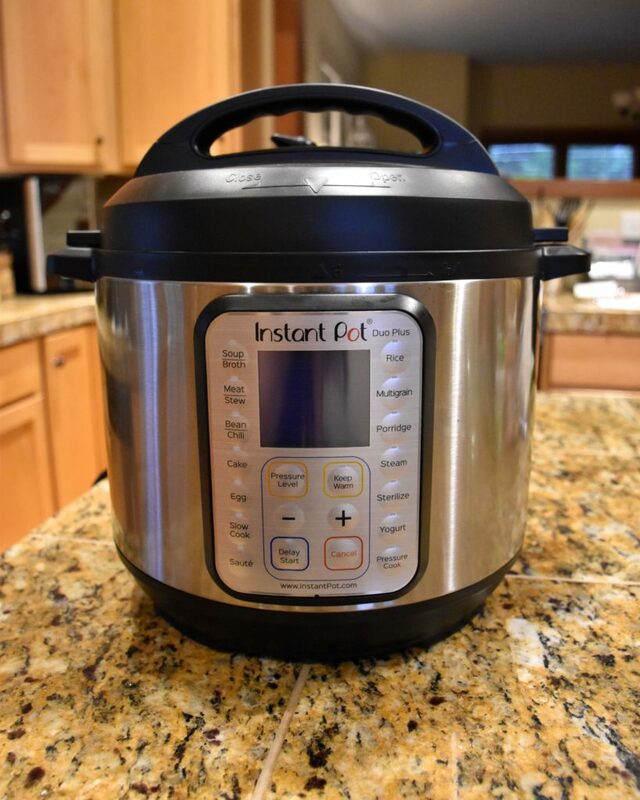 With this, you make oatmeal and can flavor it in the same ways, but you bake up a batch in the oven. I’ve seen this done in a casserole dish or even muffin cups for individual servings. It’s a great idea if you’re on the go a lot and need to have a bite in the car on the way to work, or have something to hand to the kids on the way to school. 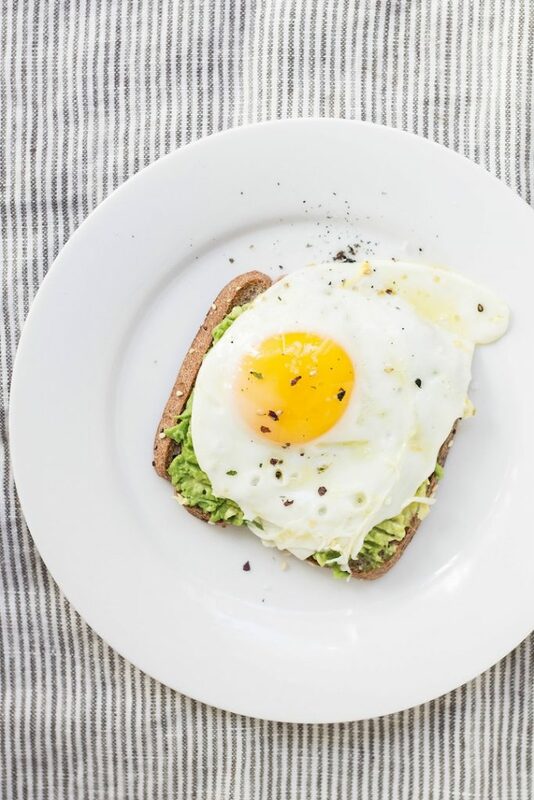 Eggs are naturally gluten and dairy-free, high in protein, and very filling, which makes them a great choice for breakfast. There are so many easy meals you can make with eggs for a gluten-free dairy-free breakfast. You can go the traditional route and scramble or fry them in just minutes, serve them with gluten-free toast, and some fresh fruit. Or you can turn the standard scrambled egg into breakfast burritos (be sure to use gluten-free tortillas) or breakfast tacos. Add some steamed or sauted chard, kale, or spinach in there for some extra dose of vitamin K.
A few great make-ahead gluten-free dairy-free egg breakfast ideas are making a big batch of a breakfast casserole or make mini egg muffins or egg cups. You can easily make single servings of both, then pop them in the fridge and reheat in the microwave when you need them. Single serving breakfast casseroles, frittatas, and egg muffins also keep well in the freezer! Smoothies are some of my all-time favorite things to have for breakfast on a gluten-free dairy-free diet all year long, because they take only minutes to prepare and I can get tons of fruits and veggies in with just one drink. I try to stick to green smoothies, because I know that I probably don’t get enough greens throughout the day as it is. Depending on what I’m after that morning and if I plan to enjoy my smoothie with something else to go along with it usually determines what I put in. I try to make sure my smoothies are a mixture of fruits, veggies, protein, and fat. Again, sometimes I’ll have just a smoothie for breakfast. Other times I’ll pair it with a granola bar or even some gluten-free cereal with dairy-free milk – just because it feels weird to not have something to chew at a meal time. I’ve gotten the question quite a bit in the past how to get good quality protein in a smoothie. Protein powders are great for convenience, especially if you don’t have a ton of time in the morning, but I prefer to add in some natural protein when possible. Since milk and yogurt are a no-go on a dairy-free diet, I add protein and fat with hemp seeds (10 grams for just 3 tbsp! ), almonds, peanut butter, hemp seeds, chia seeds, ground flax meal, or coconut oil in almost every smoothie I make – never all of these at once, but in different mixtures and ratios to bump up the filling factor, so my smoothie stays with me for longer. 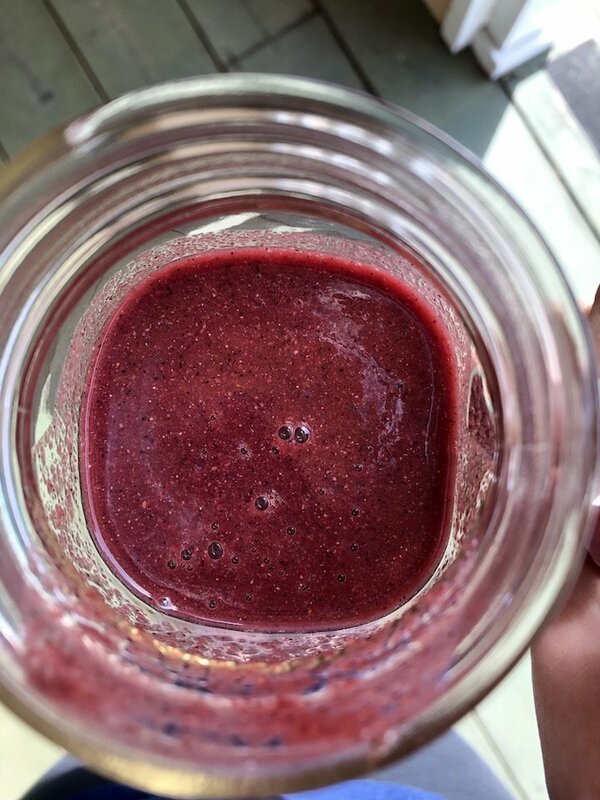 I try to keep ingredients on hand for smoothies all the time with fresh or frozen fruit, greens in my fridge, and extras (like the nut butter or hemp seeds) throughout my pantry. It’s an easy option when I already have everything I need. But if you need even more time-saving tips, check out this blog post I wrote all about saving time with your smoothie prep. You don’t even really need a fancy blender to make them happen either. I have a certified refurbished Vitamix that I got as a gift from my family after I completed my health coach training that cost around $300 at the time, but you can get other brands like a Ninja or Blendtec that are in the $150 to $200 range. If that’s even a little high for you, you can check out the single serve blender sizes that are still super efficient but with a much smaller price tag. Gluten-free toast or breakfast sandwiches are a safe bet for gluten and dairy-free breakfast ideas. When you find a gluten-free bread that you love, you can use it in all kinds of recipes. When I’m really hungry, I’ll have a piece or two (gluten-free bread is notoriously tiny!) of gluten-free toast with peanut butter on top. You can make avocado toast on gluten-free bread just by mashing up some avocado, mixing it with salt and pepper, and slathering it on your toasty bread. Jam and jelly is also gluten and dairy-free, so you could go that route too. I make jam every summer with the tons of raspberries that grow on our raspberry plants, so we do a lot of jam toast in our house. A few other toast topping ideas for a gluten-free dairy-free diet are: almond butter (or any other nut butter that doesn’t have a ton of additives) and cinnamon, peanut butter and bananas, vegan chocolate hazelnut butter (a delicious treat when you really need something sweet), or straight-up vegan butter (like Earth Balance). Of course, you can turn any of your favorite gluten-free toast into a breakfast sandwich very easily. Load up with bacon, eggs, greens, avocados, you name it – and put it between two slices, and voila! Easy hearty breakfast done! This category of breakfast food is the trickiest when on a gluten and dairy-free diet, but don’t worry – there are still plenty of options for you! If you decide to take the pre-made route, you’ll find that the cost can add up quickly, but if you’re willing to be creative, you can still enjoy pancakes and waffles at home with some ingredients you probably already have on hand. 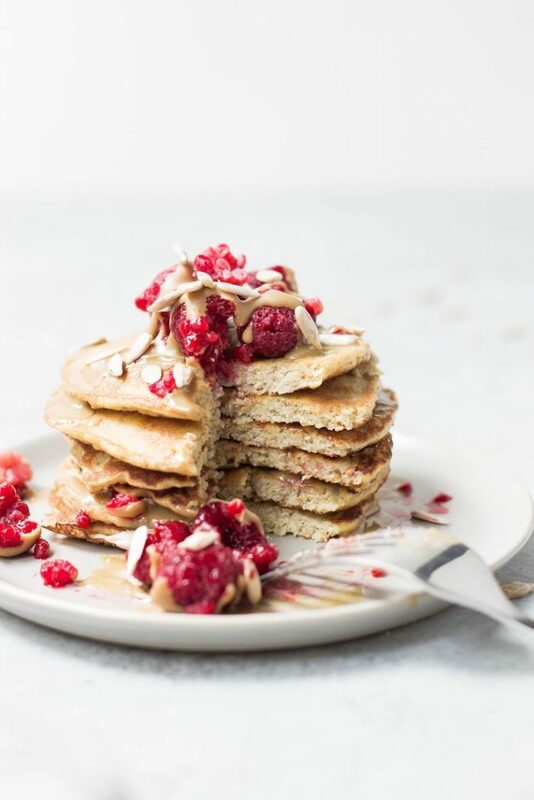 When it comes to pancakes and waffles, you can definitely buy a prepared mix either at your local store, on Amazon, or through Thrive Market. There are plenty of options to try (I have a blog post coming up on this in just a couple weeks! ), so you can definitely buy a number of them, try them out, and decide what your favorite brand is. Mine is King Arthur Pancake Mix, because it’s gluten and dairy-free, makes the lightest pancakes, and is easy to use flax eggs in place of real eggs. Of course, there are plenty of other ways to make pancakes and waffles at home too. You can make your own mix using gluten-free flours at home. I have made and enjoyed the recipe from The Healthy Gluten-free Life cookbook many times. More recently, I decided that the prepared mix was easier for me than to keep all the gluten-free flours on hand (especially when I had to throw out a ton that went unused), but it is still a really tasty recipe. You can even make the mix ahead of time and keep it in your pantry. That way, when you’re ready to make a batch, all you need to do is add the wet ingredients and go! Gluten-free dairy-free french toast is really just as simple as swapping out the bread for gluten-free bread, the milk you usually use for non-dairy milk, and using vegan butter or coconut oil for the pan. A breakfast bowl is simply just throwing some of your favorite breakfast foods in one dish and calling it a meal. I know it sounds slightly obnoxious, but this is how a lot of my meals come together. When something tastes good, why complicate it? A lot of my breakfast bowls are made in the same way that I eat oatmeal. 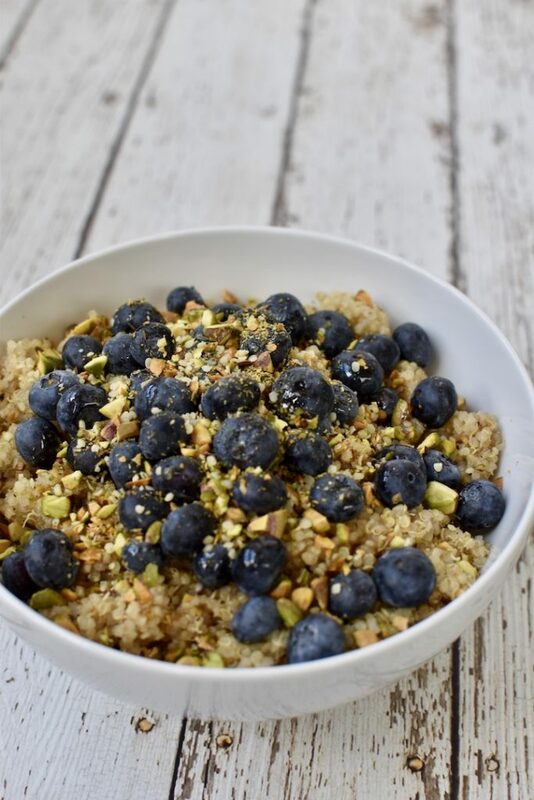 I’ll make a whole grain breakfast bowl by layering up cooked quinoa, buckwheat, or brown rice, then topping it with my favorite fruit, nuts, and nut butter. You can also make savory whole grain breakfast bowls with steamed or sauted greens (like chard, spinach, or kale), some cooked sweet potato, a fried or scrambled egg, and avocado slices. Here’s two examples of my breakfast bowls in my quinoa breakfast bowls blog post. Another way to make up a breakfast bowl is by combining any of your favorite breakfast foods, like eggs, gluten-free sausage (you can even make your own at home! ), steamed or sauted greens, roasted potatoes, hash browned potatoes, cooked beans, any veggies you like…. Seriously, just put stuff in a bowl, add some hot sauce, salt and pepper, and call it breakfast! It can be as simple as that! 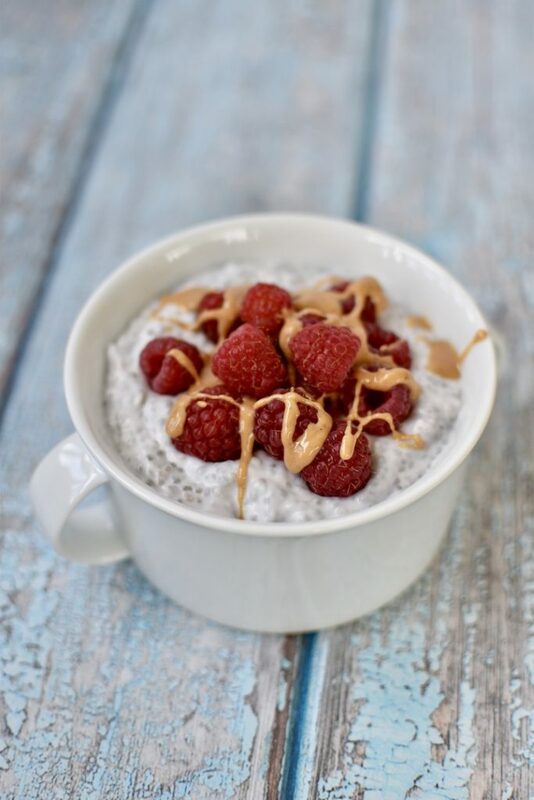 Chia pudding is one of my favorite breakfast bowls to make too. I love it because it’s SO simple and requires very minimal time and prep. But even if you’re the type to always be running behind in the morning, you can even do this minimal prep the night before and put it in the fridge for the morning. The best part about chia pudding is how versatile it is. You can truly make it your own with different flavors like cocoa or cacao powder, vanilla extract, spices, any fresh fruit, nut butter for some extra protein, and you can even swap out the dairy-free milk for whatever YOU like. There are really no rules, just ratios to follow. Which might be why I love these most of all I love being able to make things of my own! Place in the refrigerator for at least four hours, overnight is better. When ready to serve, divide the pudding into two serving dishes. Add your choice of toppings and enjoy! If you know you need more veggies in your life, stuffed vegetables are a great gluten-free dairy-free breakfast option. All you need to do is hollow out your favorite veggie (cook them first if they need it!) and fill it with some of your favorite breakfast ingredients. I love to stuff sweet potatoes, russet potatoes, avocado halves, tomatoes, and zucchini. Roasted sweet potatoes are one of my favorite veggies to stuff, because they’re super versatile. I like to go savory or sweet with mine for breakfast. My favorite way is to top them with almond butter, cinnamon, and a drizzle of maple syrup. For the potatoes, I’ll bake them up either in the oven or the microwave first, then hollow them out to fill with some tasty breakfast sausage and sauted greens. For the zucchini, I’ll cut them in half, scoop the seeds out, then roast them for a few minutes in the oven until they’re soft. Then I’ll add in breakfast sausage some Daiya vegan cheddar cheese, and put back in the oven until the cheese melts. For the avocado halves, I’ll fill with just about anything that sounds good that morning. Bacon and eggs would probably be my husband’s first choice! In a hollowed out tomato, I think a mixture of cooked quinoa, bacon, fresh herbs, and Daiya vegan cheddar cheese would be delicious. Pop that in the oven for a few minutes until everything is warmed through – so easy and yummy! One of the foods I missed the most when I first went dairy-free was yogurt. It was such a big staple in my diet before I removed all dairy that it kind of left me with a gaping hole in my breakfast routine. I stopped eating yogurt entirely, because at the time there were very few dairy-free yogurt options available. I didn’t want to rely on them too heavily when I was still getting my feet wet in this diet. There are a lot of different dairy-free yogurt brands and flavors made with a variety of different dairy-free milks these days, which is great news. But the downside is that most of these dairy-free yogurts don’t have a whole lot of nutritional value to them. Most of us are drawn to yogurt for the high protein and probiotics, but with dairy-free yogurt, most of them are mainly just fat and sugar – with a hefty price tag. Which to me is a big thumbs down for regular eating. 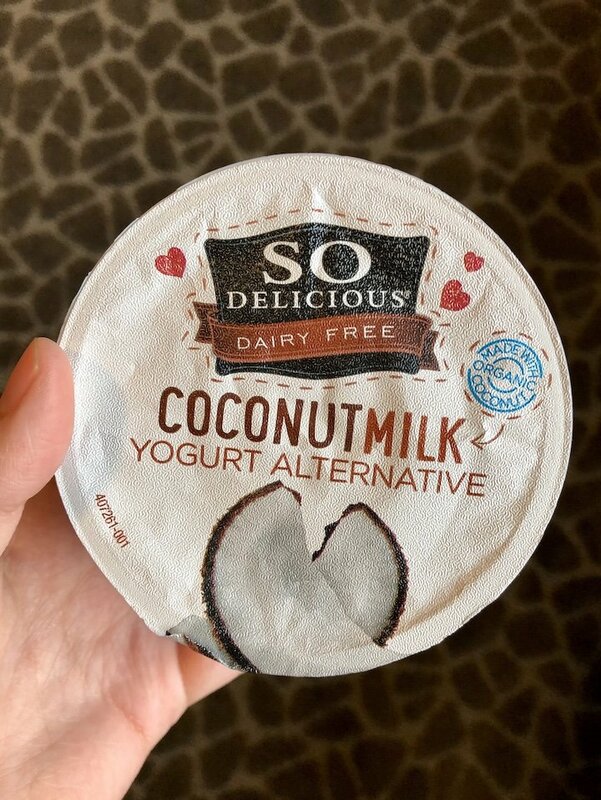 On the bright side, you don’t have to go without yogurt if you’re eating dairy-free and can still enjoy it when you want to! Look for coconut, almond, cashew, rice, and soy milk based yogurts. 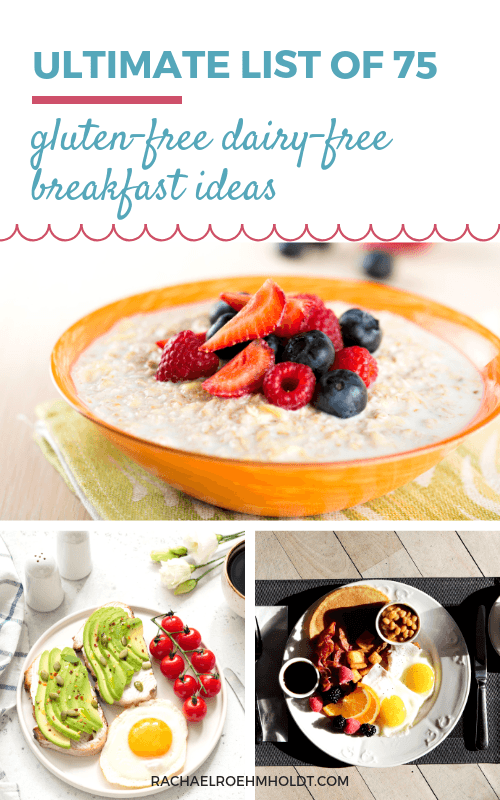 There are tons of options, so try out a few and decide if it’s something you want in your regular breakfast rotation. You might even get motivated to make you own dairy-free yogurt at home! You can easily do this with an Instant Pot, a yogurt starter, and some dairy-free milk. Check out this recipe on how to do it here. When it comes to granola for your yogurt, luckily these days there are loads of options in all kinds of flavors. Check out your natural food aisle for some gluten-free and dairy-free options. A few of my favorite brands are Purely Elizabeth, Bear Naked, and Love Grown. I also love to make my own granola at home, because it’s pretty inexpensive and easy to do! Here is a recipe for my Nutty Coconut Granola that’s been a hit in our house for a few years. If you are always on the go when it comes to breakfast time, having a muffin at-the-ready is a great option. There are SO MANY gluten-free dairy-free muffin recipes out there online, and I’ll be the first to tell you, some are delicious! I found so many at one point, I decided to do a few recipe roundups on them. 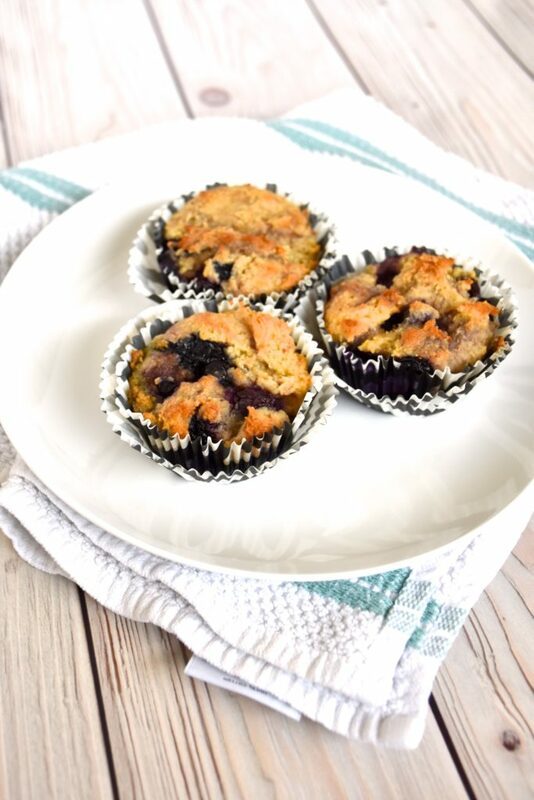 Check out the 101 gluten-free dairy-free muffin recipe roundup blog post here. One of the best things about making muffins is that you can freeze them. Just wrap them in plastic wrap and pop them in a freezer bag. Then when you’re ready for them, remove from the plastic and microwave for 30 seconds. Easy – and smart! You can leverage your time in a major way when it comes to breakfast time by using your crockpot or Instant Pot! When I was working on some recipe roundups for some blog posts a few months back, I found a number of great breakfast recipes you can make in both of these small kitchen appliances. You can make so many things in your crockpot or Instant Pot: breakfast casseroles, granola, oatmeal, hard-boiled eggs, mini frittatas – and plenty more. There are a few cereal options available that are both gluten and dairy-free, and can be enjoyed on their own or with your favorite dairy-free milk. While cereal isn’t always the most nutrient-dense, sometimes it’s nice to have the convenience of a breakfast that involves just one step – adding some milk – before sitting down to eat. Of course, you can go for some GFDF granola, but there are a few boxed cereals to choose from as well. While they aren’t exactly egg dishes, I also think it’s important to mention that homemade hash browns and breakfast sausage are also gluten and dairy-free and SUPER simple to make. For the hash browns, just peel and shred using a box grater. Then add about 1 tbsp of oil to a pan over medium high heat. Add the shredded potato and cook 3 to 4 minutes on each side, flipping once. Remove from heat, cut and serve. For breakfast sausage, mix together 1 lb of ground chicken, 1 tbsp steak seasoning, and 2 tbsp maple syrup. Form into patties and cook on each side for 3 to 4 minutes. Remove and serve. Easy, done! 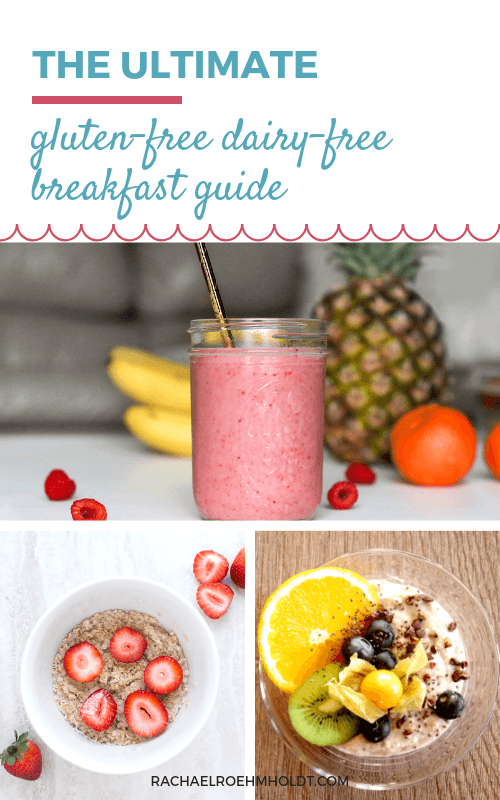 We have covered SO MUCH breakfast goodness in this post! I hope that you’re feeling inspired by this list and have taken away at least one new idea from it. 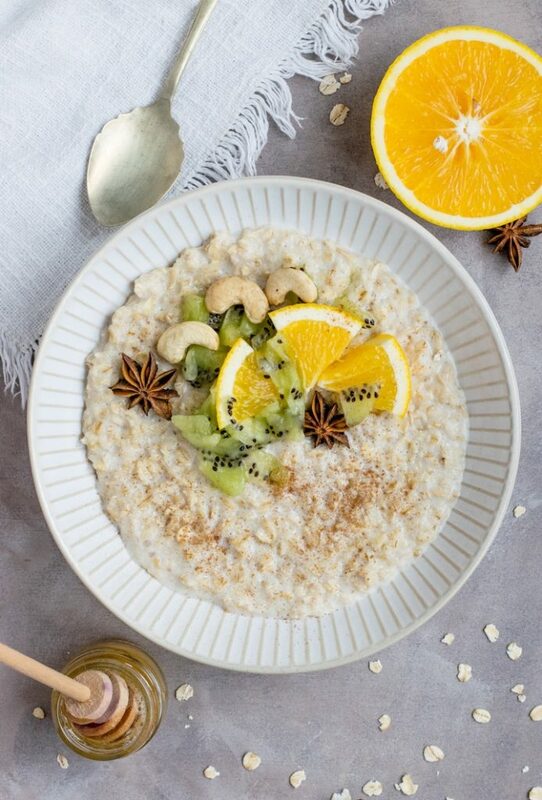 There are so many different things you can still eat for breakfast on a gluten-free dairy-free diet, you just need to know what you’re looking for and keep those ingredients on hand. 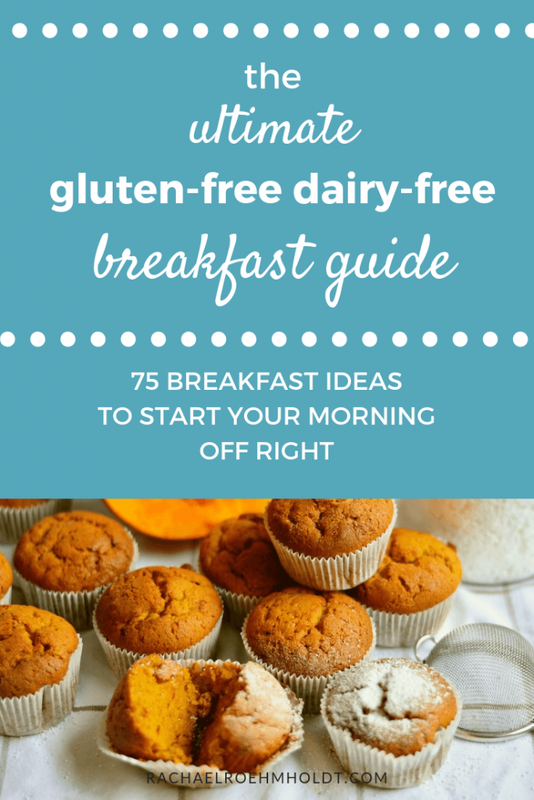 Here’s a list recap of ALL 75 different gluten-free dairy-free breakfast ideas that I covered here in this post! If you want to check out some of my favorite breakfast ingredients that I keep on hand in my kitchen, click through the images below! 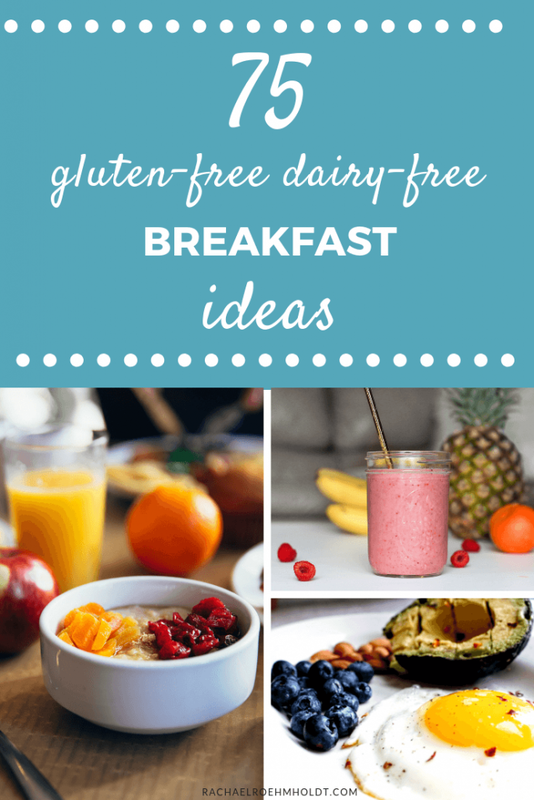 I’d love to hear from you in the comments below – what is your favorite gluten and dairy-free breakfast idea? And what from this list is something new that you’re going to try? If you loved this post, I hope that you’ll share it with your friends on Facebook and pin it for future reference on Pinterest. If you’d love even more inspiration and recipes for a gluten-free dairy-free diet, be sure to grab my free shopping list – plus 5 free recipes – by entering your details below!